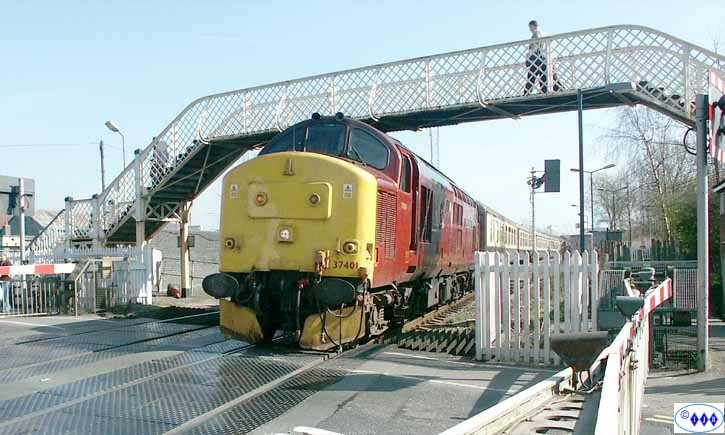 Another change of venue for the Wales & Borders loco hauled service and also a change of subject. 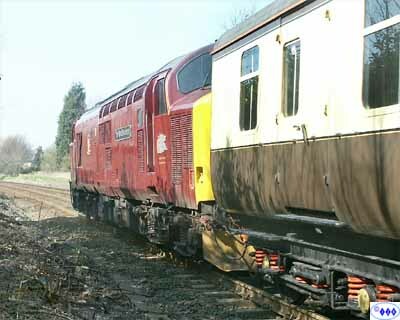 Today it was the turn of 37401 "The Royal Scotsman" to perform on the 10.28 Crewe-Cardiff service. 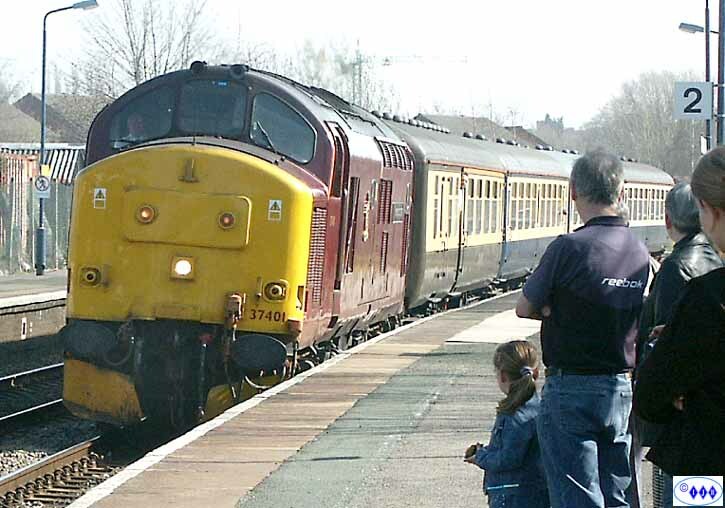 Seen here arriving at Nantwich - note the superelevation on the track making the locomotive lean into the platform. There is a sharp curve on the station and a piece of fast track to go with it, hence the compensation. The beautiful colour of the Scotsman livery is caught by the strong Spring sunshine to perfection - pity about the silly numbers on the cab side though. The train is seen leaving Nantwich framed by the ornate overbridge - it defies description really! 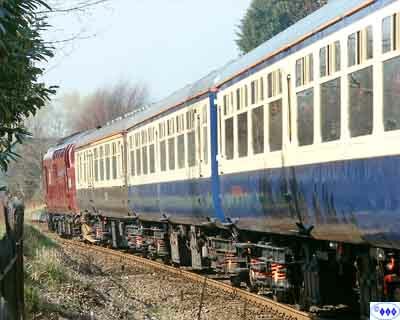 Moving away from the level crossing.